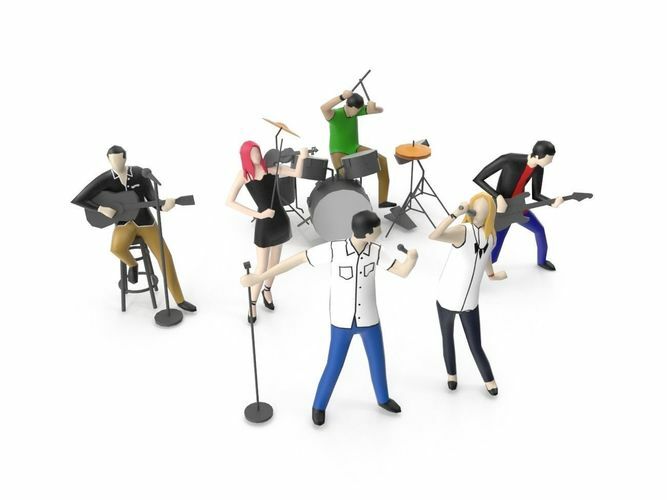 Included 6 low poly people playing music instrument with multiple format (MAX, OBJ, FBX & 3DS). All file have UVW Unwraped perfectly with texture also included. Created in 3DS Max 2013, and rendered using VRay. Easy to use, just drop the model to your scene and ready to render. Great for create crowd of people or adding detail to your low poly scene project.